Chimney cleaning seems like it ought to be simple. Just insert the brush and rub it against the sides of the flue to remove any built up deposits, right? Wrong. Chimney sweeping is best done by professionals, who will carefully examine the condition and structure of your chimney to make sure that it is safe to use before you light your first fire of the season. What you can't see can be dangerous. That's why DC Carpet Cleaning always starts with a detailed video inspection of your whole chimney, to locate sticky creosote glazes that are the hardest to remove. We will also examine the condition of your chimney lining, damper, and firebox to identify any weaknesses or deterioration which might be of concern. Call DC Carpet Cleaning at 202-683-4270 and get your chimney video inspection today! 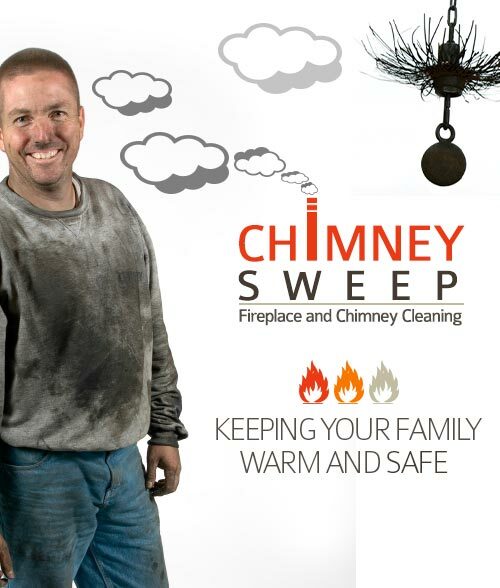 After the inspection, our highly experienced chimney sweeps will sit down with you to review what they found and to present their recommendations for cleaning or repair. Not every chimney has enough deposits to need cleaning, though we do recommend you have your chimney cleaned before your first fire of the year and every three months when you are using it frequently. Bricks and mortar. That's the main building materials that make up the main structure of masonry chimneys. And these materials are vulnerable over time to the rigors of expansion and contraction as they are heated and then cooled, again and again. This also is true for the chimney liner, which can be damaged by the precipitation that can enter the top of the flue. Rain, ice, and snow can all degrade the integrity of your chimney if you don't have a chimney cap installed. DC Carpet Cleaning recommends that every chimney should have a chimney cap, and not just for the weather! A chimney cap will also keep out squirrels and other small animals that are attracted to your roof for warmth during the cooler months. With free access to your chimney, they can actually enter your home or build nests within the flue that can obstruct the venting of smoke when you light a fire. Smoke and carbon monoxide will come into your home if there is nowhere else to go. A chimney cap will also protect your roof from sparks exiting the chimney that could set it ablaze. DC Carpet Cleaning's chimney sweeps are certified to treat your chimney safely and effectively. So give us a call at 202-683-4270 and get your chimney cleaned and ready for fall.